Have YOU tried our ATC Swap yet? It is fun and easy and can be a great way to collect mini-art pieces (for free!) while sharing your own art. Artist Trading Cards only take a short time to create and provide a break from your usual routine to just play and have fun. ATC trades are open to anyone who would like to participate, including nonmembers. 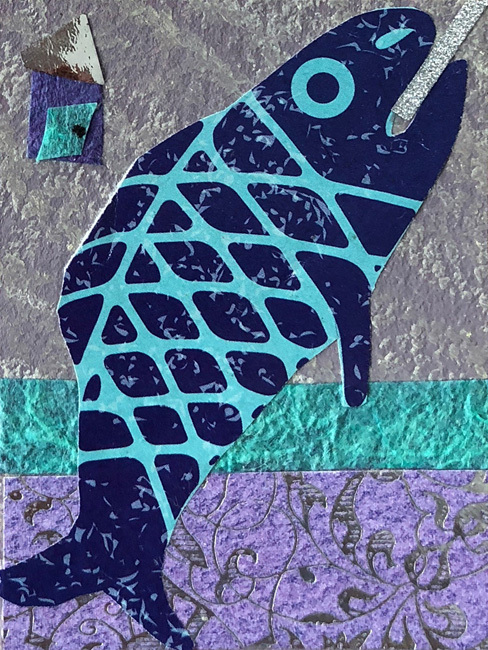 Each participating artist makes six cards (measuring 2 ½” x 3 ½”) based on a set of themes every other month, and mails them to Wendy Ayotte, our coordinator. She assembles a random collection of cards for each participant, and one complete set for our archives. Your surprise collection of ATCs will arrive in the mail a week or two after the deadline! Send your SIX cards with a self-addressed, stamped envelope (VERY important, if you want to receive cards back – make sure you put TWO stamps on the SASE!) and get them to Wendy by the 1st of the month. Please include the following information on the back of your ATC: your name, the date, and the theme(s) you chose. If you have any questions about the program, please e-mail WendyANH@yahoo.com. You can use all three prompts or pick and choose to use just one or two. 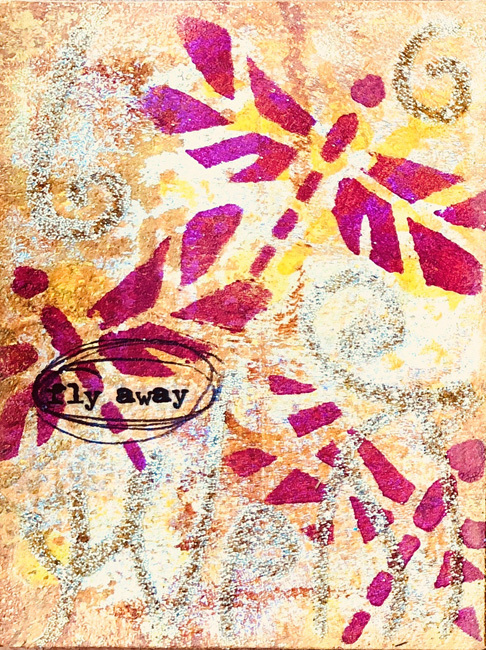 ATCs can be made of any material your creative mind can think of. 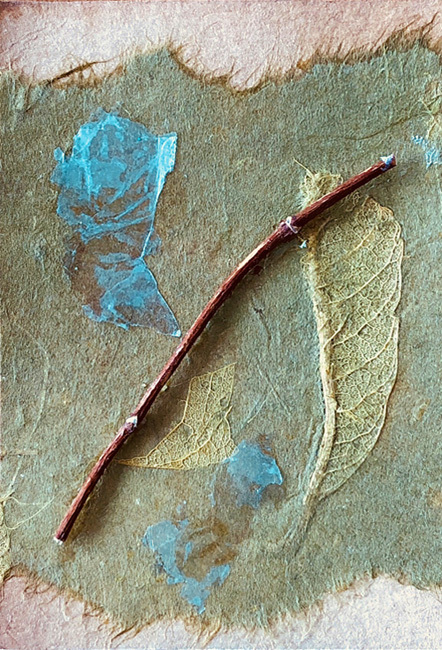 Many people cut watercolor paper to size and base their work on that, but we have ATCs in our archives made entirely of fiber, glass or acetate, to name a few. Be creative! Polymer clay, metal, wood, quilting–what is your specialty? 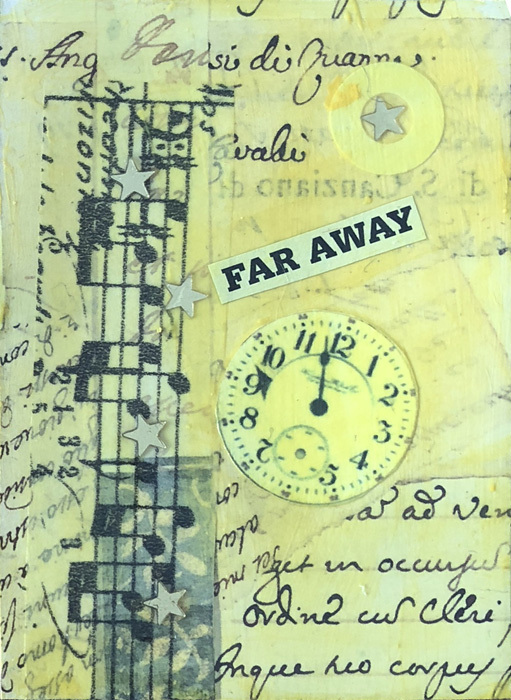 ATCs can be dimensional or flat, painted or collaged, have moving pieces, tags, embellishments or anything you can dream up.